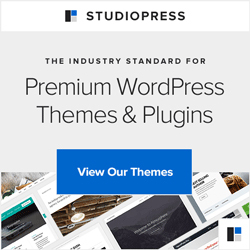 WordPress | Why Use StudioPress Genesis Framework themes? Why use StudioPress Genesis Framework themes for WordPress? Many people who are new to WordPress will start out with the thousands of free themes that are offered for WordPress. Some are okay, however, most are poorly written or outdated. A free theme could open your website up to hackers, so beware. My favorite theme Frameworks is the StudioPress Genesis themes. StudioPress Genesis is created by Coppyblogger, one of the most informative Blogging networks out there. The products and information that Coppyblogger gives are top-notch. It’s important for a Small Business Website to use the right tools and themes are tools that not only help your website look nice but perform well on search engines. Genesis works by having a parent theme they call the Framework. This holds all the main templates. Under the Parent theme is a Child Theme which is the one you would edit. The child theme is what gets customized for the look and feel that you want. They have over 40 child themes plus links to other themes that people in the StudioPress Market Place have created. 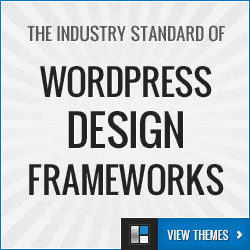 Prices for a theme and framework start at $80 and additional themes after purchasing the framework starts at $25. Plus they have StudioPress Pro Plus All-Theme Package which is a package of all the themes for about $350. This includes all new themes that are added as well! Considering the easy to use features in the Framework a small business website will be easy to update and grow. Updated themes. StudioPress Genesis keeps the themes up to date after WordPress makes major updates. This is a major advantage for small businesses. Forum support for your theme with detailed tutorials. Many free plugins that help manage WordPress without knowing any PHP or HTML coding – Like Genesis Simple Edits. A great interface to easily change colors, SEO, BreadCrumbs and Page Layout. Easy to edit locations of where items appear in the themes. Genesis benefits both new WordPress users and experienced web programmers. Take a look at what themes and tutorials StudioPress Genesis framework has to offer for your small business today. Take a look at their video below.